With ‘Saigon – Hanoi’ Cosey at last made the Vietnam story he wanted to write for several years. 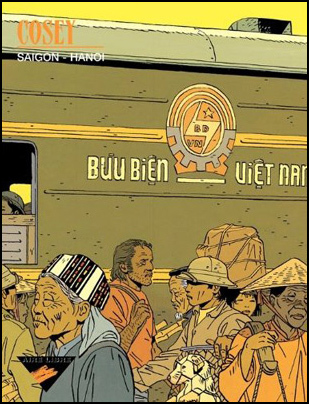 He wanted to tell a Vietnam story, like you could see in a movie, but that was not available in comics. He went to Vietnam in December 1988 – January 1989. ‘I reported many images, sensations, meetings, especially a meeting with American veterans who made a pilgrimage. I found that it was very strong, very rich. So strong even that I have spent six months trying to write a scenario.’ But Cosey didn’t manage to deal with all the material he had collected. Then came the story of ‘Orchidea’, which took him a year to make. In this year, the Vietnam story had the time to mature in his head.